Neven Maguire's Pumpkin Pizza with Cashel Blue & Pickled Red Onion. Did we ever tell you about the time Neven Maguire featured us in his book ‘The Nation’s Favourite Food Fast” ? Heat your oven to the highest temp. Heat the oil in a heavy-based frying pan over a medium - high heat. Sauce the pumpkin for 8-10 minutes, until it is cooked through but still holding its shape. Meanwhile, make the pickled red onions. Put the sugar and vinegar in a small pan and bring to a simmer until the sugar has dissolved. 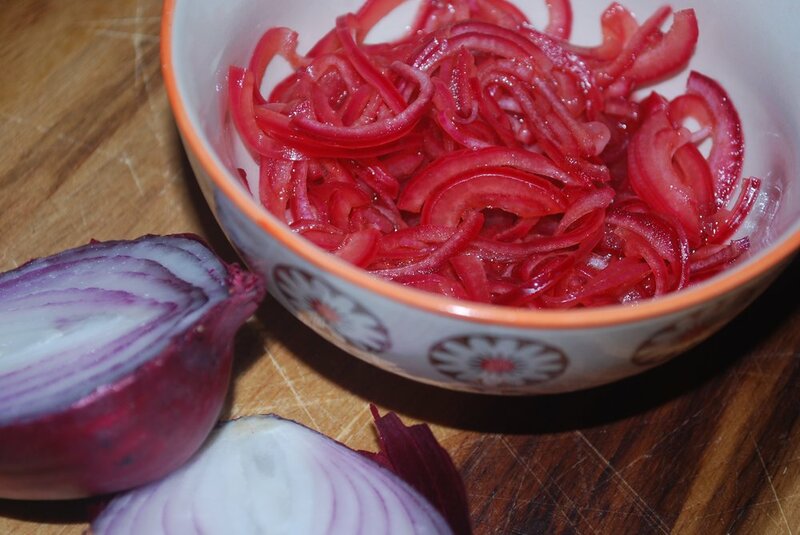 Remove from the heat and add the red onion slices. Season to taste and set aside to allow the flavours to combine. Put the pizza bases on 2 large baking sheets and arrange the sautéed pumpkin and Cashel Blue on top. Bake for about 3- 5 minutes, until the base is crisp and the blue cheese has melted. Remove the pizza from the oven and add mounds of the sweet pickled red onion, draining it of any excess liquid. Scatter over the rocket, drizzle with a little olive oil and transfer to warmed platters to serve straight to the table.